I bet you must have heard “influencer marketing” at least once if you, by any chance, do anything that is related to marketing. In this blog post, I’m going to address all the questions about influencer marketing and how to do it properly. I’m pretty sure that many of you do not even have a clue about what it is. Let’s just say that it is the last resort if your marketing efforts fail to bring traffic to your website and in case you already have a few references in your back pocket, you might as well start with influencer marketing. Let us start off with a simple example. We know that marketing can be most simply explained as “spreading the word”, right? Now, if marketing is spreading the word, influencer marketing is asking an industry influencer or a famous person to spread the word. A quick example, right off the bat? Whenever you see that a new outlet is inaugurated by a famous personality, most importantly someone with influence on the same niche, that is an example of influencer marketing. So what you simply do in influencer marketing? You design your marketing activities (digital and physical) around that person. Motorola Moto Z and Moto Mods Launch – YouTube influencers were found to run a campaign for Moto Z and those vloggers ran some awesome campaign and won 122,000 clicks for Moto Mods. Anthem of US Marketing Campaign for Bedrock Real Estate, Detroit – In this event, it was not about internet celebrities or bloggers or vloggers, but local celebrity: famous rapper Big Sean made an emotional statement and recommended Bedrock. M&M 2016 Flavor Vote – This is yet another example of using a television and film celebrity instead of using an internet celebrity. M&M let the loyal customers and fans select the new flavor and the official campaign manager was Emmy award-winning actor Tony Hale. You might know him if you watched “Stranger than Fiction”. These few examples are good enough to explain to you what is influencer marketing. To choose or not to choose is a perplexing question. While we know that influencer marketing works like a magic (coz you bribe a famous person to market your sh***y product or service), let us not forget that there exists the science that we know as traditional marketing. Do it digitally or physically (conventional methods), it does work, so it only gets harder and harder to decide whether one should go for influencer marketing or the conventional one. Since the young generation is the target audience for most of products and services (e.g. web design target audience is millennials into online business), influencer marketing works like a magic as compared to the traditional tactics. The best thing about influencer marketing is third party endorsement. You cannot deny the importance of getting a referral from a third party. If a baseball player praises those baseball accessories that you sell, that means an immediate boost in sales. However, a problem with influencer marketing, that you never have in traditional marketing, is the expense and time that it takes to bring a third party on board. Also, what if they do not have time to do it when you need. This is where traditional marketing comes to rescue you. Influencer marketing has another very important point to make; you can trust it because the person talking good about your brand, is actually someone with a good reputation or someone closely related to your niche. Traditional marketing’s strongest point is the budget. From a meek Facebook ad to an email marketing campaign, nothing takes as much money as an influencer marketing campaign. Even if you skip celebrities and pick Instagram models or YouTube vloggers, the price that they will charge you will be much more than having a two or three-fold traditional digital marketing campaign. In terms of ROI, traditional marketing cannot beat influencer marketing. It is only because of the trust and fan following factors. One endorsement from one celebrity can give you an ROI that a full stack digital marketing campaign cannot. It all depends on how you market that endorsement. I’ve kind of already answered that question. Take a look at the examples where big brands used influencer marketing. We can take a look at this question from another angle. Why do we need marketing? Claude Hopkins believe that marketing is meant to single out one man out of a hundred and that man should be no one but our target customer. Let us admit that conventional or digital marketing without influencer, has failed to make it possible. Even Facebook’s laser targeting tool fails to reach the exact kind of person who will buy your product or your client’s product. This is the exact problem that influencer marketing addresses. For example, if your product is an edible product and the target demographic is teens, you can hire a teen star (male or female) to endorse the product and this will directly approach the exact audience that you target. In simple words, influencer marketing helps the brands to locate and directly advertise to their target audience. It is effective because it makes use of the sense of loyalty that a celebrity’s fans have for them. And this is exactly where it becomes tricky as well. If you make a wrong assessment – say pick a male celebrity to attract a male audience (usually considered a flaw, coz men love women even if it is an ad about shaving cream), then your influencer marketing will only turn out to be a big-time failure. What’s Micro vs. Macro in Influencer Marketing? These terms “micro influencer” and “macro influencer” are not very well known to commoners who do not try influencer marketing. Let us try to understand what is micro influencer marketing and what is macro influencer marketing. As we know, micro means small and macro is something that is large. In everyday use, micro is a prefix that is used for a small scale thing e.g. micro business and macro is used for large scale e.g. macroeconomics. Taking into consideration these examples, here is what micro and macro influencer marketing are and which one is better as compared to the other. Micro influencer is a person whose impact is on a small scale. They are the people who do not have an approach to a huge audience and they do not cover the entire audience of a business. If you ask me for an example, they are vloggers, bloggers, Instagram models and somewhat famous podcast guys. They are the people who can approach from 10,000 to maximum a few hundred thousand followers or audience. The best example of such influencers is tech review, guys. Now if the best of them have a few hundred thousand viewers on YouTube, you can use them for your tech products. Brands dictate them to use a particular product in a review and endorse it. The impact is small in this case. Macro influencers are famous people. They can be from social media, but they are famous as F.
Mostly in this category, we have athletes, models, actors, and singers etc. In simple words, people with a huge fan following are found in this group and thus their influence is also huge. For example, Kylie Jenner did some influencer marketing for Bumble BeeHive, and got 1 million+ likes for Bumble. As it has been explained, micro influencer is a small scale one and macro is big scale influencer. There are pros and cons for each of them. For example, macro influencer reaches out to a huge number of a target audience and brings in huge ROI and traffic. But on the other side, you use micro influencer, when you narrow down the market and when you want to have all the shebang with the budget, micro influencer is the best choice to make. Identify micro and macro influencers who belong in your niche and who can affect it. Create your campaign around a story and story should involve that influencer. 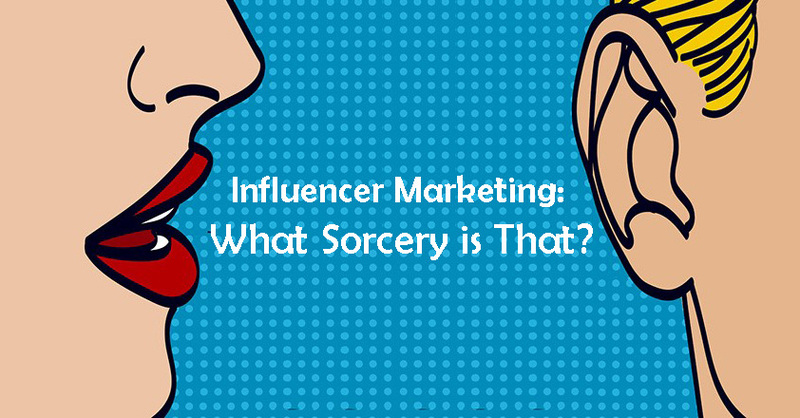 Spot on the analytics and see how influencer marketing is affecting your audience. Make sure that social media features the campaign on all important handles e.g. YouTube, Facebook and Instagram etc. I am pretty sure that if you follow these tips, you will be able to do more with less. Best of luck!